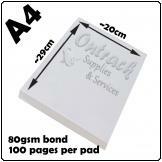 This is a A6 notepad more or less 10cm X 14cm printed in black and white. 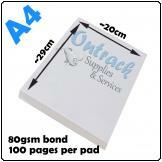 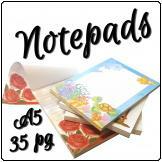 This is a A6 notepad more or less 10cm X 14cm printed in colour. 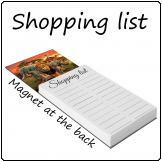 This is a magnetic shopping list. Attach it to your fridge and write everything down as and when you think of it! It consist of a 50 page shopping list notepad with tear off pages and a brandable area at the top where you can let us print a photo or a picture. 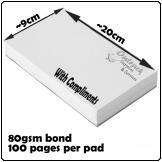 It has a magnet at the back.